How to make text smaller? GIMP Forums / GIMP / Beginners / How to make text smaller? I am new to gimp and very limited with the program. I am very excited about slowly learning how to use Gimp. I am currently working on making a map out of a satellite image. I am stuck trying to figure out how to get text to be small enough to be legible. I have cropped and resized the original image, It is 137x224 @ 72ppi. I want the text smaller, I think I cant get enough definition because the pixels are huge, text size 7 and under becomes like 6 squares per letter and there is no definition. The same effect is keeping me from getting well defined and sharp lines. I try to stroke a path and the line looks like a row of squares instead of a line. If anyone has any suggestions they would be very appreciated. RE: How to make text smaller? (Sep 29, 2011 22:06)ofnuts Wrote: Pixels don't look like pixels because they are small enough If you zoom on them, they appear as what they are: squares. 137x224 pixels is very small if you want to put text on it. It's closer to the size of a thumbnail than to a workable image. Why is the image so small? Well, what I'm doing is making a disc golf course map, and individual hole maps from the course map. I started with an online satellite map that was low resolution (not sure if im using "resolution" correctly). I dont need a real detailed map so I am playing around with gimp to do some basic editing. I took the overall map, then cropped out each individual hole, so thats why the image is so small. In theory the hole maps will look great and be extremely accurate. I just need to do some simple adding of tee's and holes, with a line drawn from the tee to the hole. I'm having fun doing it and slowly learning the basics, I just get stuck here and there. I'm sure there is much better way to go about this but I'm just learning as I go. Here is one of the holes I have so far. I erased uniportant parts of the image, cropped all 18 holes, rotated them to all face the same way and sized them about the same so I can make tee signs out of them. That's the idea anyways. Lets see if I can attach one. Ahh, I don't know what format to put the image in or how to, I'll have to look into it. But if you can imagine what I'm talking about.........Is there any way to draw in smaller pixels over these images? Talking about sizes and formats, if I want a good sharp image at 400x600, should I always work on a larger scale and then resize before saving the final image? Sorry if this is off topic, but it is something that has been bugging me for a while now. Thanks for the tip about PPI. I am guessing it will have a final affect on the end size of the image, right? Recently did some very small text and about the only thing you can do is turn off anti-aliasing. A screen shot of with, then without, antialising at 8 & 12 pix size. Not much room for improvement, you can go in at the pixel level and 'tweak' the odd pixel from foreground to background colour & vice versa but the bottom line is you can not have half a pixel. Thanks everyone, you have been very helpful. Ofnuts- I'm going to work on the paths-scale method, I have an idea of how that may work, hopefully that jives with how it actually works. Ok, I can use fuzzy select and get a great selection on exactly what I need. I can fill the background, but I cant fill the original areas of the image that are left, ie. trees, walking paths. If I could just save the selection path as an outline then scale it and fill, I'd be set. I though inverting the selection would do the trick, but it still wont fill. If anyone has any ideas please let me know. I am attempting to attach one of the images I'm working with. Hey my attachment worked! Small victories keep me sitting here! So thats the image I'm talking about, eventually I want it to look like a simple caddy book picture, with solid colors. I'm kind of taking the long route to end up with a very simple drawing, but this is the best way I could come up with to make the maps very accurate. aaahhhh hahaha! my fill was set to "fill similar colors" instead of "fill whole selection"! One step at a time! I'll figure it out! (Sep 30, 2011 20:04)ofnuts Wrote: Select the bush, and use Select/To Path. This will create a real path from the selection, that you can merge with an existing path, for instance. I select and select to path, then when I hide the selection I have real nice smooth lines, but I cant seem to do anything with them. How would I just save the paths as an image and work off of that? The path lines being the only thing in the image. Ok thanks. So I am then stuck with the pixel size that I started with regardless of what I do? IF I stroke the path it uses the giant pixels, and if I select the path, the fill still has giant pixel edges. Yesss!!! Thats it! I think I'm going to win this battle. Thank you very much Ofnuts! You can, additionally, if I understood "do something with it" correctly, go into paths edit mode and correct any paths that you may want to modify, or which are not as exact as you would have liked the to be. 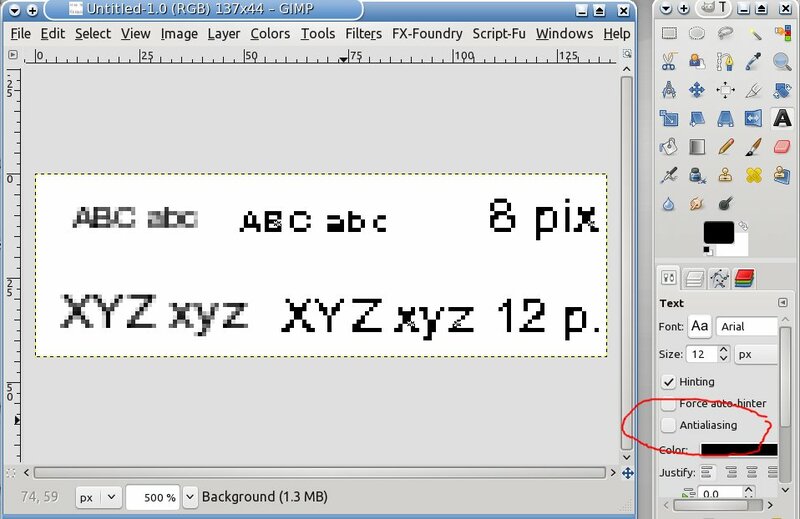 I do not want to take any thunder away from gimp, but maybe one of these inkscape tutorials will help. Inkscape would be better for tracing and editing paths, and then gimp for final touches and more complex bitmap editing. SVG's import quite nicely into gimp after your "blueprint" is finished. Look at my out-of-the-ice example. I created a box, turned the 3D object to paths, then I could take apart the box. I used then scripts, layers and other tools in Gimp for the touch up. Using a transparent layer, with a reduced opacity, can help to get more exact paths, as with the select tool, via tracing. Inkscape, as with Gimp, works with layers. It depends on how much quality you want. You can spend a lot of time, or a little. It is only one way of many that lead to Rome Thanks for sharing your results. It is great to be kept in the loop. Victory! I finished the hole maps, with help from the forum! Thank you all very much! Here is what I ended up with. I took 18 of these and used used Open Office Draw to make tee signs complete with distances, notes, and sponsor recognition.